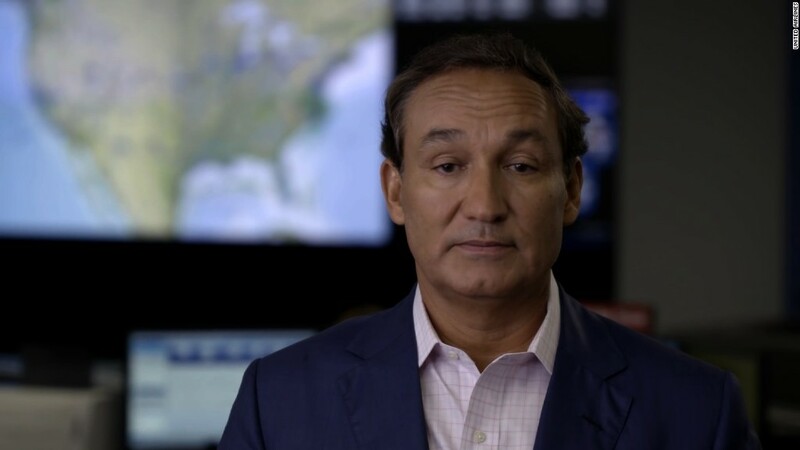 The new CEO of United Continental, Oscar Munoz, was hospitalized Thursday, just 5 weeks on the job. The airline did not give additional details, though the Wall Street Journal cited sources saying it was a heart attack. Munoz, 56, took over the top job at United on Sept. 8, after the previous CEO Jeff Smisek was forced to resign due to a scandal involving the Port Authority of New York and New Jersey. The Port Authority operates New York City airports, and the company has said it is cooperating with a federal investigation. Investigators are looking into whether United Airlines agreed to schedule nonstop flights between its hubs in New Jersey and South Carolina to curry favor with the chairman of the Port Authority who reportedly had a vacation home in South Carolina. The scandal was just one of the issues facing United, and Munoz has been working to give the company much needed leadership. In an interview with the Wall Street Journal on October 1, Munoz spoke of a "morale" problem at United, stemming from the "poorly managed" merger with Continental in 2010. United employees had been "allowed...to be disengaged, disenchanted, disenfranchised—the three nasty D's," he told the Journal. "I've got to win all [of them] back." Munoz, also noted the urgent need to boost the company's reliability. United ranked last in J.D. Power's 2015 survey of airline satisfaction. And it suffered a black eye in July for its handling of a major computer outage that grounded its flights worldwide. The company ultimately apologized for "falling short." In addition, United shares have been a laggard in the industry, down 16% this year. In many ways, times have never been better for the airlines. The plunge in fuel prices has been a major help. And airlines have continued to find new ways to boost revenue, through fees for checking bags, for example. However, competition may finally start pushing down fares, as Delta indicated this past week. United is expected to report third-quarter results on October 22. Munoz, one of only nine Hispanic CEOs of a Fortune 500 company, had previously served as president and chief operating officer of CSX (CSX), the freight railroad. He has also served on the board of United Continental since 2010.